André Hentz is the Deputy Under Secretary for Science and Technology at the U.S. Department of Homeland Security (DHS). Hentz previously served as a Senior Leader and Science Advisor to the Under Secretary and Chief Scientist for the DHS Science and Technology Directorate (S&T). Prior to joining S&T, Mr. Hentz worked at the Department of Defense’s Intelligence Systems Support Office (ISSO). 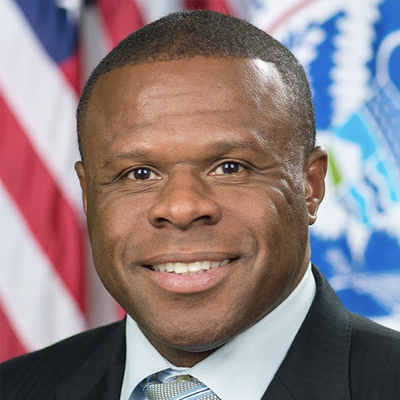 While serving as Director, Mission Support, he was responsible for the ISSO’s finance, security, contracts, human resources, facilities, information technology and administrative departments. Additionally, he served as ISSO’s Senior Intelligence Officer, Intelligence Oversight Monitor, and Military Intelligence Program (MIP) Functional Director. While at ISSO, he also served as the Deputy Director, Mission Support and Chief of Acquisitions. Mr. Hentz served as program manager at the Crane-Division of the Naval Surface Warfare Center (NSWC), a part of the Navy Sea Systems Command (NAVSEA), before joining ISSO. While at NAVSEA, he led projects in support of the Special Capabilities Office (SCO) focusing on RADAR and LADAR system testing, Network Infrastructure Integration, and Rapid Acquisitions. Mr. Hentz earned a Master’s of Science in management from the University of Maryland, University College in 2005, and a Bachelors of Arts in government and politics from the University of Maryland, College Park, in 1996.